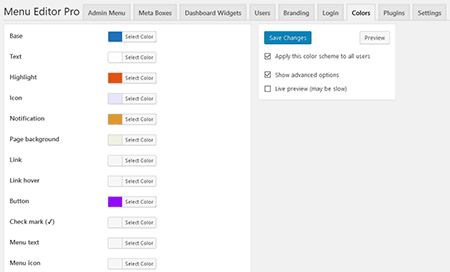 This add-on adds more branding options to Admin Menu Editor Pro. 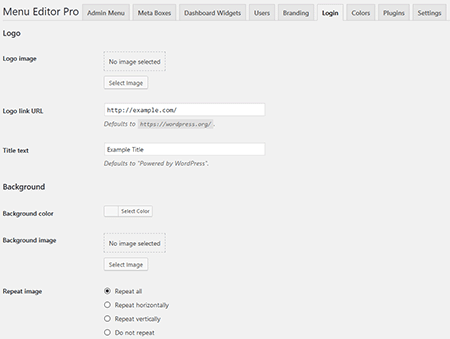 Replace the WordPress logo with your own. 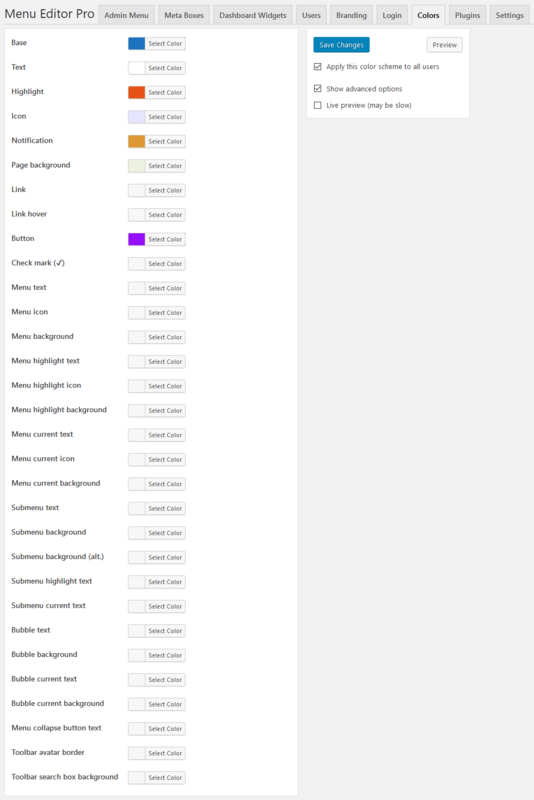 Create your own admin color scheme. Change the “Howdy, user” greeting. 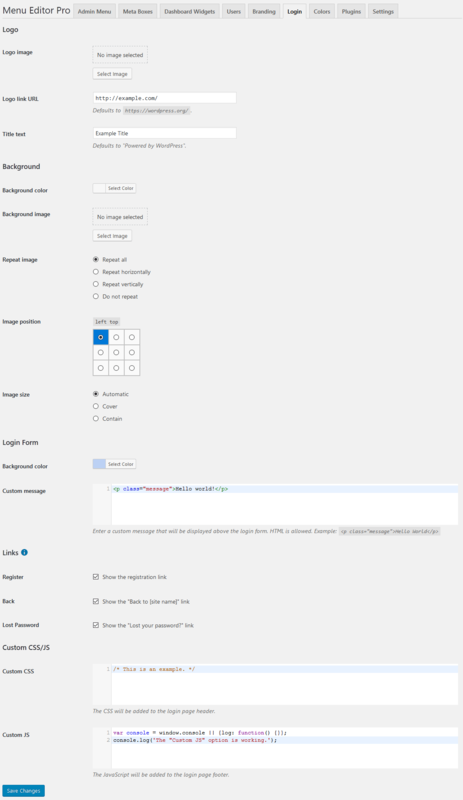 Remove the WordPress version number from the admin footer. 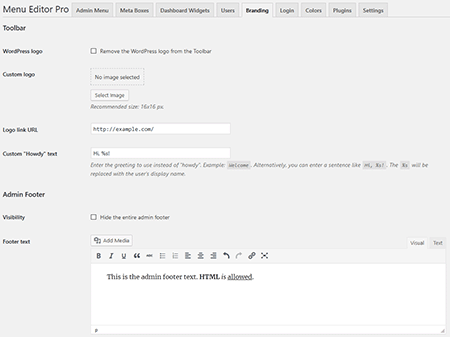 Add text/HTML to the admin footer. Change the sender name and address for WordPress emails. Try it yourself in the online demo. Log in as the “demo” user, click Settings -> Menu Editor Pro and then click one of the the “Branding”, “Login” or “Colors” tabs. Admin Menu Editor Pro 2.6.3 or later. Includes the base plugin and all add-ons. Already have a license? Upgrade to Agency and get the Branding add-on and support for more sites. If you have a license but don’t want to upgrade, you can also purchase the add-on separately.